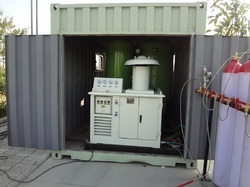 ATMOS POWER PVT LTD is the leading Designer, Manufacturer, Exporter and Supplier of all types of Biogas Plant and Biogas Bottling with Purification System. 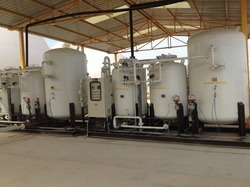 ATMOS POWER PVT LTD is leading Designer, Manufacturer, Exporter and Supplier of all types of Biogas Plant and Biogas Bottling with Purification System. 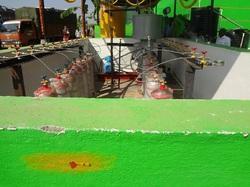 ATMOS POWER PVT LTD offering BIO GAS Enrichment System. ATMOS POWER PVT LTD is ISO certified 9001:2008 company and we have customize capacity in Biogas Enrichment System as per client requirement. We have leading satisfied customers throughout INDIA. 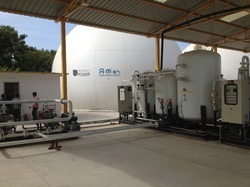 ATMOS POWER PVT LTD is leading Designer, Manufacturer, Exporter and Supplier of all types of Biogas Enrichment Plant. 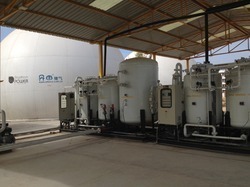 In Biogas Enrichment Plant : Purification of biogas by vacuum pressure swing adsorption was evaluated to produce fuel grade methane (FGM). Two different adsorbents were employed to evaluate the process performance with equilibrium- and kinetic-based adsorbents. Carbon molecular sieve 3K was employed as the example of a kinetic adsorbent because methane diffusion is extremely small. A five-step cycle configuration (feed, intermediate depressurization, blow down, purge, and pressurization) was employed to compare with results obtained with a four-step cycle without intermediate depressurization. The effect of different operating variables like step times and pressure conditions of the cycle was analyzed. 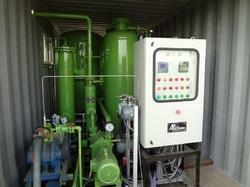 Looking for Biogas Purification Plant ?